Learn how to write and correctly apply ISO 14001 principles with this Environmental Manual Template. MSI has been teaching, training and consulting for the 14 years, and has developed Environmental manuals for various sizes and types of companies (MSI has assisted over 100 customers achieve AS 9100, ISO 9001, ISO 14001 and OHSAS 18001 certification). MSI will provide the Environmental Manual template that has been widely accepted by many registrars. 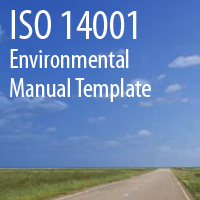 This template comes with MSI’s format and instructions for what needs to be changed and added as you develop your ISO 14001 Environmental Management System. This package is compatible with Microsoft Word and includes support from knowledgeable consultants via telephone and email. MSI has been powering business forward since 1998. Our friendly staff are here to help you succeed. If you would like to find out more about the great people you will be interacting with please visit our Executive Bio Page.